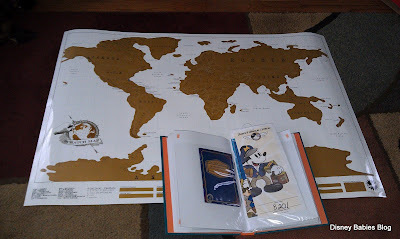 Disney Babies Blog: Travel Map and Diary - Review and Giveaway!! If you're like me, you probably save everything from your vacations... 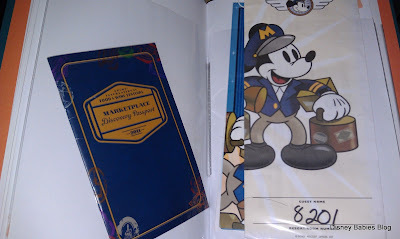 Plane ticket stubs, park tickets, Magical Express tags, etc... I have a box that I know put everything in, but it's just a mess. So, when I saw the Travelers Gift Set, I thought this would be perfect. And, I was pretty close to right. A 2 part gift set, there is a Travel Stub Diary and a Scratch World Map - think World Map + lotto ticket. It's a fun concept, don't you think? 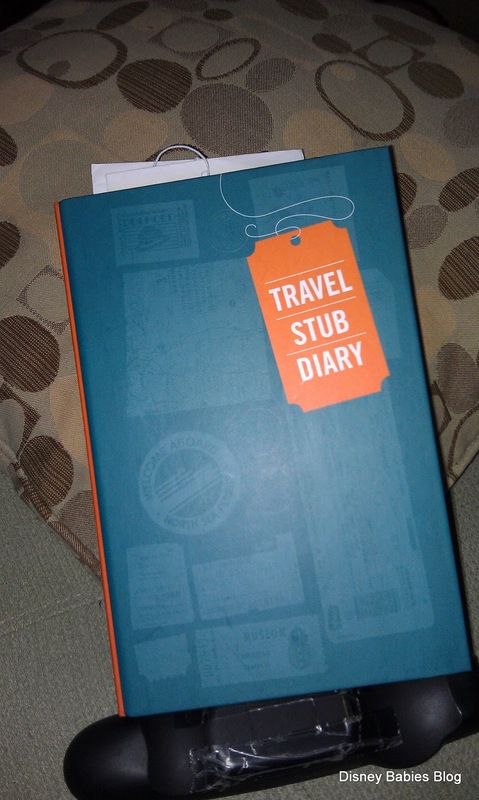 Inside, there are two options - sideways 4x6 pockets, for full length pages - both with places to write notes about what you're keeping - all in an easy to flip through book so you can actually easily flip through your memories instead of storing them in a box in a closet. It comes fully covered in gold and at first, I thought it was dry erase. Once I really sat down to look at it, I realized the gold would scratch off and since I don't play the lotto often, this gave me an excuse to use a penny! 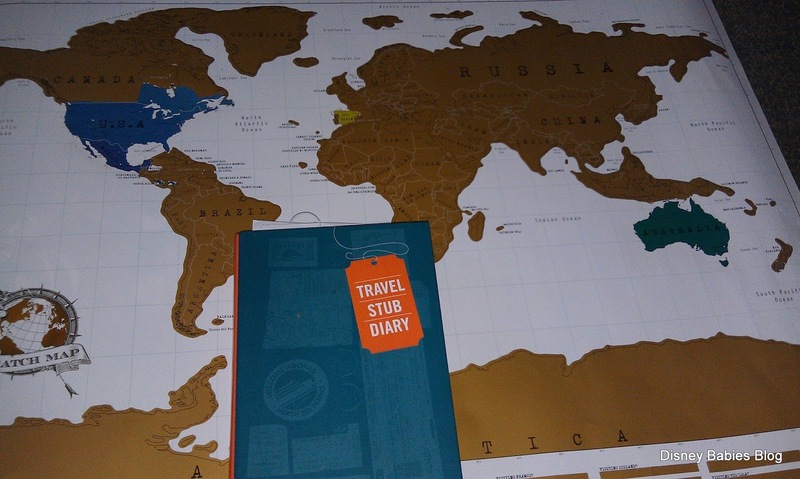 I sat through and scratched off all the places I've been - though not too many as of yet. Now, you may automatically think this isn't for you if you don't travel frequently, but I had a different thought. This would be awesome for Epcot's Food and Wine Festival. You could save all of your souvenirs in the Travel Stub Diary, but then you could also scratch off on the map where you sampled the different food and beverages. Clever idea, don't you think? Probably travel more in that one festival than in 20 years! How fun is that! I love this map and I love the wool felt poppy slippers! I really love the Face Mug. too funny. I didn't realize I made it so confusing!! whoops.. what should I change? I really like the "Said What?" Journal where you can record the strange/funny things your kids say! Uncommon gift.... hmmm... old frames. Beaten up ugly frames!